This part assumes to have good understanding of the Part 1. Here are the links , feel free to explore the first Part of this Series in the following order. This blog post has been divided into two parts. The first part starts with familiarizing yourself with the format in which data is present for Object Detection to localization of Object. 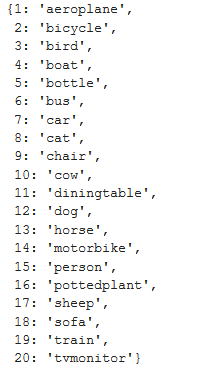 The second part deals with Largest Item Classifier in an Image . The dataset we will be using is PASCAL VOC (2007 version). Lets get our hands dirty with the coding part. Then we will try to do all the above three steps in one go . 2. GET FAMILIAR WITH DATA USING Pathlib OBJECT. PATH is an object oriented access to directory or file. 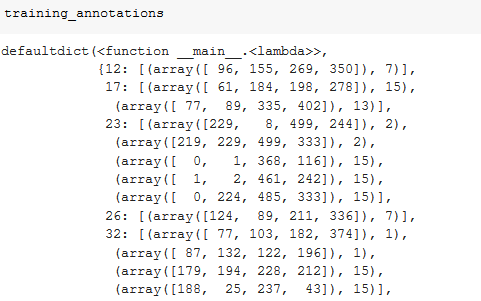 Its a part of python library pathlib. To know how to leverage the use of pathlib function do a PATH.TAB . Since we will be working only with pascal_train2007.json , Let’s check what’s the content of this file. This file contains the Images , Type , Annotations and Categories. For making better use of Tab Completion ,provided by Python use the below commands . Now we will focus on creating a bounding box around an image . For that we will create plots in steps or in separate functions . Each step serves a definite purpose towards creating a plot. Lets see the purpose of each and every step . Post that we will focus on the flow . The below code is used to get the axis on top of which we will plot a image . # The ax is used to pass in an axis object. Draw a rectangle around the object in the image. # *b[-2:] in the argument list is the splat operator . It passes b[-2],b[-1] as parameters. Its a shortcut. The draw_outline() is used to make the text visible regardless of the background. So here we are using white text with black outline or vice-versa. # foreground='black' means to create a black stroke around it. 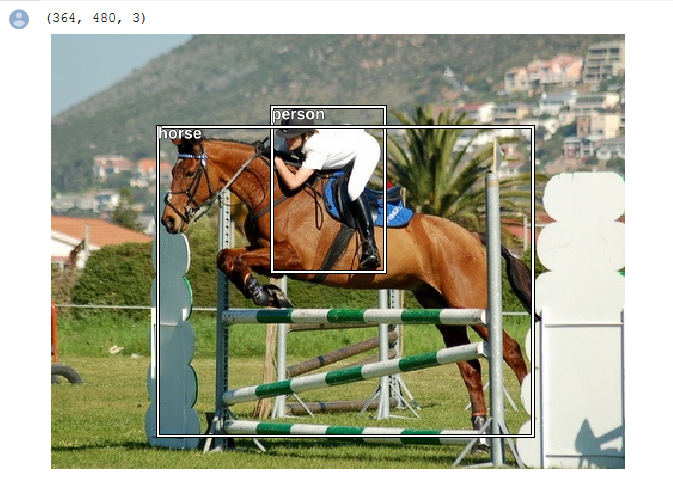 Write the class or category to which the image belongs, in form of text near the bounding box. # Add text and draw outline around it. 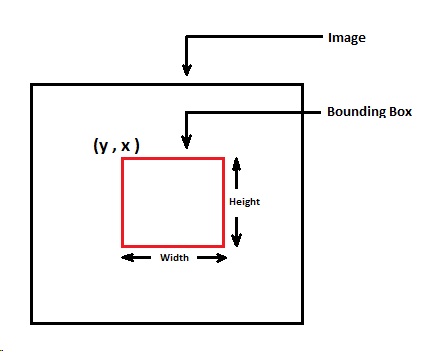 Here is the flow on how to create a bounding box around the object in an image. # Step 1 :- Returns the axis the image is on by calling the function     # show_img(). # Step 2 :- Convert the bounding box coordinates into proper format by   # calling the function bb_hw(). # Step 3:- Draw a rectangle /Bounding box around the object by calling   # the function draw_rect(). # Step 4:- Draw the text near the top left corner b[:2] . # by calling the function draw_text(). draw_rect(ax, b) # Draw rectangle bbox around it. 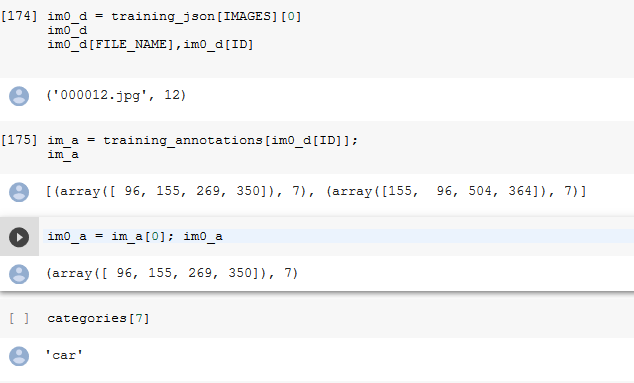 im_a = training_annotations[i] # Grab the annotations with the help of the image id. # Draw an image of a particular index. draw_idx(17) calls the def draw_idx(i): function which grabs the annotations of image no 17 that has been passed to this function. 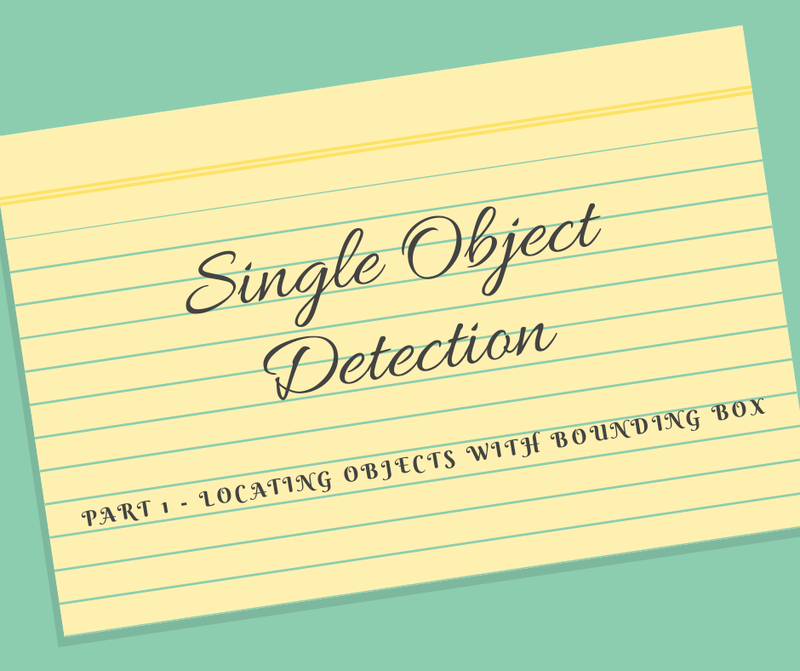 Note :- Annotations of an object is the bounding box of the object in that image and the class to which the object belongs to. Within the def draw_idx(i) function , after grabbing the annotations , we are opening that image , printing out its shape. Then we call the def draw_im(im, im_a) function with the image and its annotations. Within this def draw_im(im, im_a) function , first we print the image . Then within the for loop we go through each of the annotations , store the bounding box and class in b and c respectively. This is also known as destructuring of the assignment. Turns the bounding box coordinates into appropriate coordinates i.e top left and bottom right corner coordinates using this bb_hw(b) function. draw_rect(ax, b) :- Using this function we draw a rectangle around the bounding box . draw_text(ax, b[:2], categories[c], sz=16):- Using this function, we are write some text . 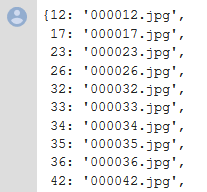 This is how we are locating the objects in the Images. The next step is to Classify the Largest Item in the Image. We will discuss the next step in detail in the next blog Post . A Big Shout-out to Anwesh Satapathy for illustrating this problem in a simple way . Please check out his github Repo and the simplified roadmap to Single object Detection . If you see the 👏 👏 button and you like this post , feel free to do the needful.